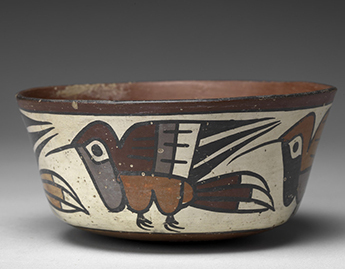 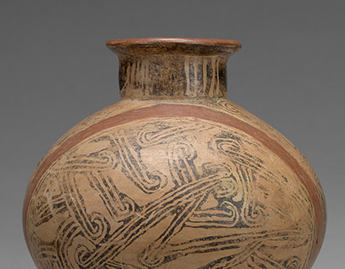 For thousands of years the indigenous peoples of the Americas have been producing artworks of exceptional beauty using forms and designs with deep cultural meaning. 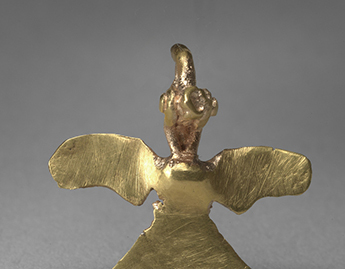 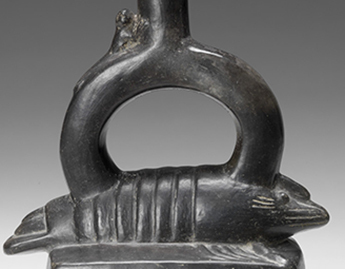 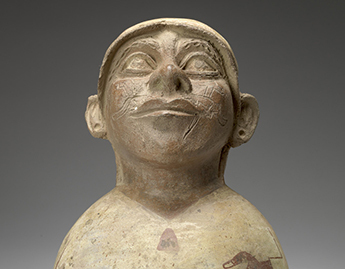 The Museum’s important collection of Ancient American art was established with an early gift in 1882 and has continued to grow in size and recognition ever since. 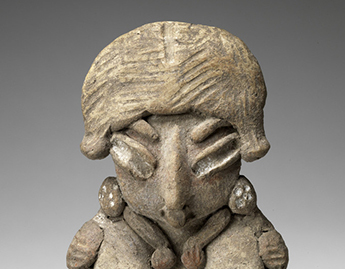 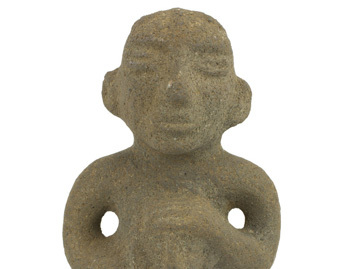 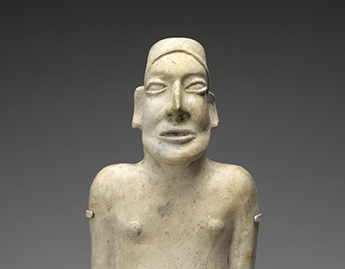 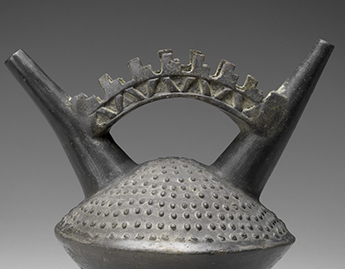 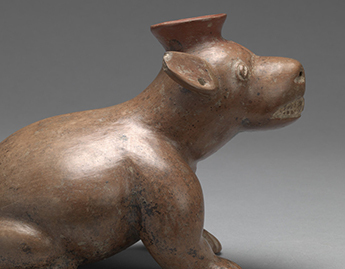 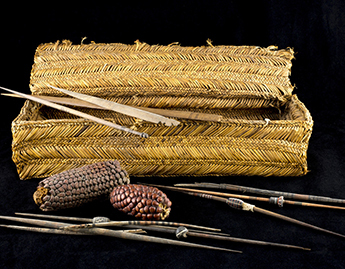 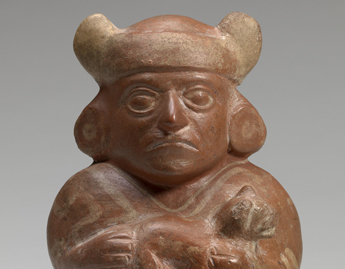 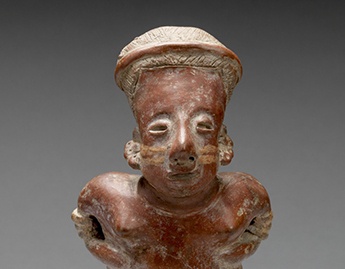 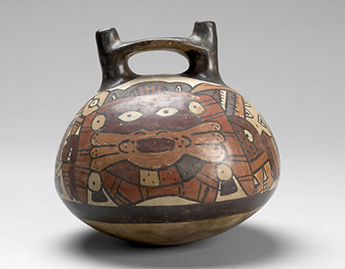 It features objects made of fired clay, stone, metal, and fiber, and represents dozens of unique indigenous groups from Mexico, Central, and South America. 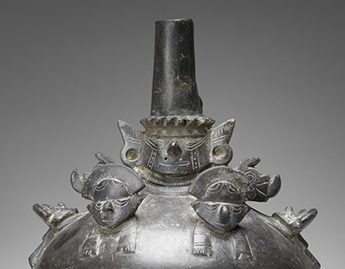 Highlights of this rich collection include a deftly painted Nasca double-spout and bridge vessel depicting an anthropomorphic being, a Moche portrait head vessel portraying a man who has been identified by scholars and dubbed “Cut Lip,” and a 17th-century wooden Inkan kero.